The Moneynick Road has reopened in both directions. A YOUNG WOMAN has died following a collision outside Toomebridge, Antrim early this morning. The woman was killed when she a man were hit by a van. 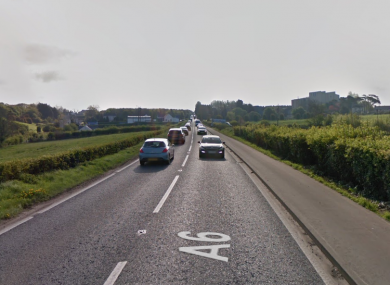 Inspector Peter Duncan of the PSNI said: “The 19 year old female and a 21-year-old male were struck by a van on the Moneynick Road at around 3:40am. “The female died as a result of her injuries while the male is currently in a very serious condition in hospital. The Moneynick Road has reopened in both directions near the Toome service station. Email “Teenager killed after being hit by van on Antrim road ”. Feedback on “Teenager killed after being hit by van on Antrim road ”.